We took a car service from the airport to the hotel. We used the folks at Tour Beijing and paid extra for an English-speaking guide. We also paid for a vehicle that could seat six and that turned out to be a very good thing because each of the three of us had a very large bag and a carry-on and I also had a backpack. We ended up with a mini-van and the back was full. I had thought we were paying for an extra person to give us a tour as we made our way to the hotel but that was not the case. As a side note, our friends who arrived later that evening were told no English-speaking guides were available after 9 PM. We arrived at the Regent Beijing in the early afternoon. 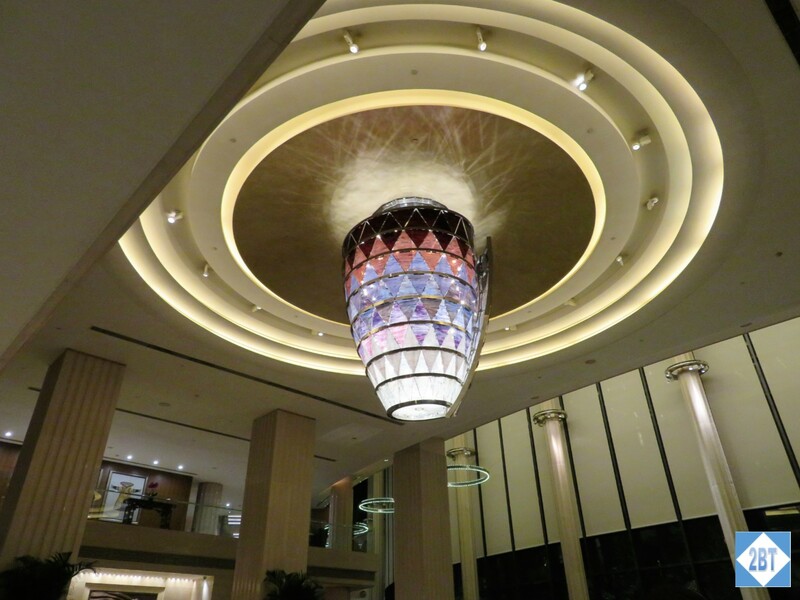 While I had seen the photos on their website I was still impressed with how elegant the hotel seemed. Lots of marble-like finishes, very understated and classy. 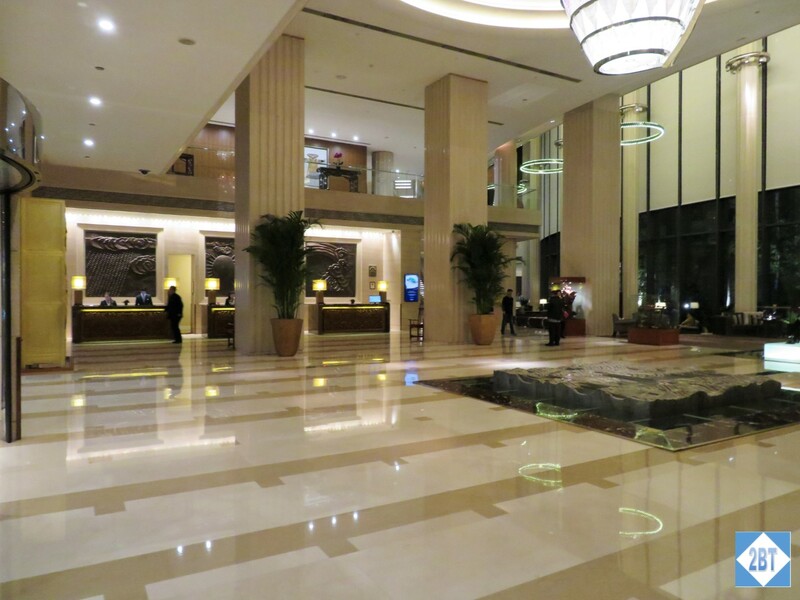 The lobby was quite large with a water feature in the center and the reception desks to the left. To the right was an elevator that led up to a Morton’s of Chicago steakhouse.